Is Syncios Free? What is the Best Alternative? Part 1. Is Syncios Free? If you own an iPhone, iPad or iPod touch and a computer you will probably want to use Syncios to help you easily transfer data to and from your iOS devices. However, it is not free. You can purchase it at $34.95. Syncios is a mobile device managing and data transfer software. It is as well a media player, an online video downloader and also a handset ringtone maker. Syncios offers a well-organized and functional interface for easy managing and transferring of files between an iOS device and a computer such as transfer of Musics, Videos, Photos, Applications, Ebooks, Contacts, Whatsapp messages and a whole lot of other things. This is an application which gives you a lot of control over your iOS device. There is a lot of things you can do with Syncios. And below is the reason why Syncios stands out when it comes to managing data on your iOS device. Media Management: Syncios decently sync photos and videos easily and without waste of time. Personal Data Management: all your Phone app and Messages can be easily synced and backed up through Syncios. You can as well manage your phone contacts from your computer. Backup and Restore: Syncios handles backup and restore issues too. It can backup your iPhone entirely so you always have a copy of your data to switch back to in case something goes wrong with your iPhone. Backup and restore functions are also easy to use. The major con of Syncios is that errors and crashes occur when using it, it also takes a long time to load. iMyFone TunesMate is a best Syncios for Windows & Mac users with iPhones, iPad, and iPods. By this we mean it is a Must-Have iphone manager and iTunes rebuilder. It transfers music, videos and photos between iPhone and iTunes, and also backs up iPhone data on computer. Moreover you can use it to manage apps on your iPhone by installing and uninstalling multiple apps with just one click. TunesMate is not free but a free trial version is provided for all programs which rarely has functional differences as compared with the full version. Only $29.95 TunesMate can be purchased online and it is 100% secure. A Life-time free support and upgrade service is provided for customers who have purchased full version products. 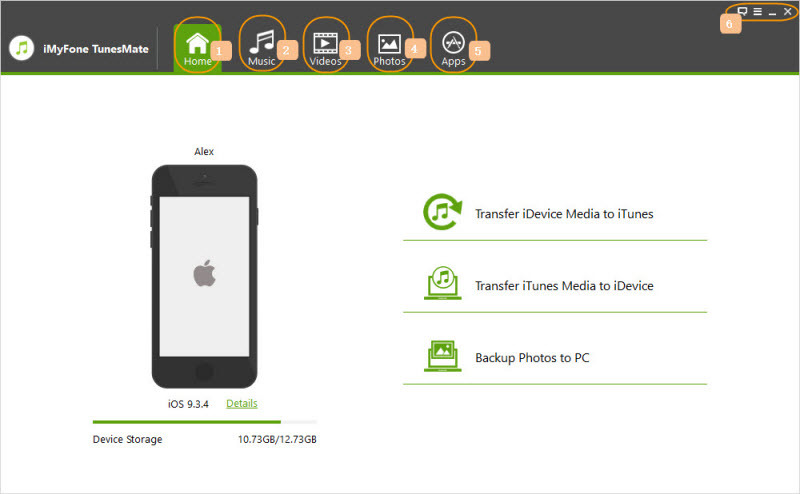 Freely authorized to transfer and smartly manage your music collection on your iDevice and iTunes library. Flexibly transfer Movies, Music videos, Home Videos, TV between PCs and iOS devices. 1 click back up your iPhone/iPad photos to computer and delete them in bulk. Custom any of your favourite songs into unique ringtones. Selectively transfer data without syncing everything altogether. Easily share music with your friends from different Apple IDs. iMyFone TunesMate offers great cost-efficiency and you can buy it knowing that you are purchasing a premium quality software at a reasonable price. 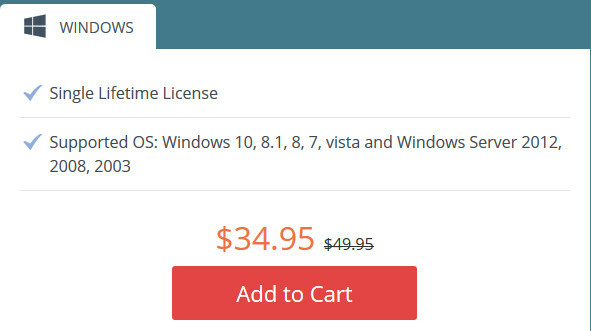 Furthermore, you can save up to 20% on the purchase of each license if you use the coupon code given below.